"My Work - Interior Decorating"
had no idea it was creating such a buzz. As I sat there listening to her interview, by the way, which could have lasted longer...I said to myself, "finally, someone in the mainstream who's not afraid to challenge the 'modern' way of parenting, without being afraid of getting their head ripped off". Since "Tiger Mom" put out her first book, I thought no one else dared to come out with something that challenges the "world's view" on parenting. But oh was I wrong. And you can best believe my wheels were spinning! As you can probably tell, after writing this post...I'm going out to buy this book(that is if my husband doesn't beat me to the punch - he reads more than anyone I know). "Thousands of books have examined the effects of parents on their children. But almost none have thought to ask: what are the effects of children on their parents? In All Joy and No Fun, award-winning journalist Jennifer Senior isolates and analyzes the many ways in which children reshape their parents' lives, whether it's their marriages, their jobs, their habits, their hobbies, their friendships, or their internal senses of self. She argues that changes in the last half century have radically altered the roles of today's mothers and fathers, making their mandates at once more complex and far less clear. Recruiting from a wide variety of sources-in history, sociology, economics, psychology, philosophy, and anthropology-she dissects both the timeless strains of parenting and the ones that are brand new, and then brings her research to life in the homes of ordinary parents around the country. The result is an unforgettable series of family portraits, starting with parents of young children and progressing to parents of teens. Through lively and accessible storytelling, Senior follows these mothers and fathers as they wrestle with some of parenthood's deepest vexations-and luxuriate in some of its finest rewards. Meticulously researched yet imbued with emotional intelligence, All Joy and No Fun makes us reconsider some of our culture's most basic beliefs about parenthood, all while illuminating the profound ways children deepen and add purpose to our lives. By focusing on parenthood, rather than parenting, the book is original and essential reading for mothers and fathers of today-and tomorrow." This was such a breath of fresh air for me. I'm all gung ho, as I haven't actually read the book yet. And there will probably be something in it(as with most books I read) that I won't agree with. BUT, it has gotten the dialogue started on why as a society, we're digressing. I'm not saying that Mrs. Senior's book is the answer to the decline of our society, but it's a start. 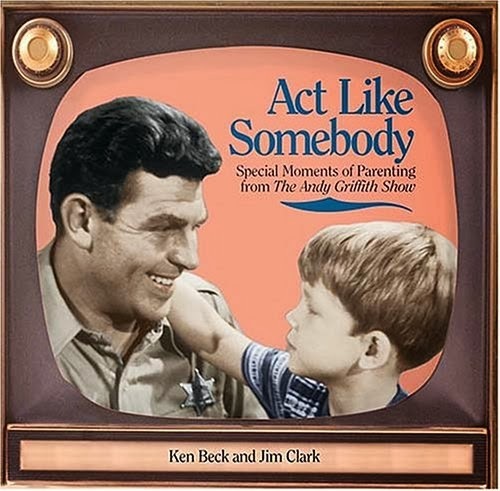 I for one, come from the "old school" fabric of parenting. I'm the one who reads Dr. John Rosemond's Sunday column and give him an air high five for having the guts to say what deep down inside, we all know to be the truth. Listen, some of the advice can be to the extreme, as let's be honest here...some parents aren't equipped to make fair, rational and reasonable child rearing decisions when it comes to their children. THAT in itself is a very sad thing. But, that in no way means we should throw out the baby with the bath water! What's right is right and what's wrong is wrong....right? For instance, if a child is in the store rolling on the floor having a temper tantrum. You just don't throw up your hands and let them do it! NO! Boundaries should have been set waaay before that even takes place. I, in no way think ANYTHING is cute about a child sassing or saying no to a parent. Even at the cute age of 1 or 2. Contrary to what some parents think...children.are.not.stupid! In fact, they're VERY smart! And they also know what they can and can't get away with! If boundaries are set and they already know what's expected and the consequences that come with it...BELIEVE ME, they may try - but they're smart enough to know what the ramifications are that follow. Why do you think a teacher can get an entire classroom of kids to follow rules(sure you'll have a few that will buck the system), but the majority of them won't. She has a set of rules and a set of consequences and if they deviate, they get the punishment. And eventually they learn. It doesn't take rocket science. It takes patience AND consistency. And you don't have to scream and yell either to get your point across(aside from the occasional 'clean your room or else'), lol. But seriously, children WANT boundaries and discipline...why, because it's a security and a stability to them. They know they have someone in the mix who's smart enough and bold enough to have their backs and center them when it looks like the world is falling apart. We as parents have tired ourselves out parenting, because we try to be EVERYTHING to our kids. Their friend, their confidant, their play date, their everything. Hey some of you may love that, but I'm not the one. And NO, my kids aren't some warped basket cases, because I wasn't all those things to them. As a matter of fact they thank us for giving them a reality check concerning life. And they'll be the first to tell you they had a wonderful childhood filled with love and laughter. Listen, they had their fair share of movie, museum, park, zoo and library outings to last them a lifetime. But, I didn't drop what I was doing to run to their every beck and call either. If they wanted to play, that's what they had siblings and friends for. That's what God gave them an imagination for. 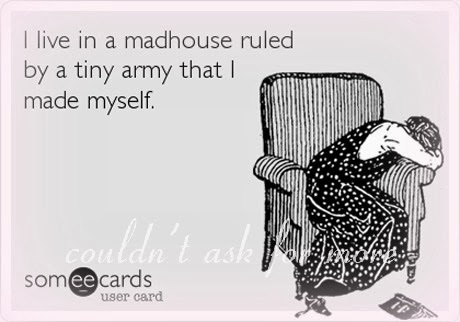 And please don't get it twisted, I wasn't some "Mommy Dearest" mother who shunned her kids and showed no nurture. No way! As a matter of fact, I(we) showered them with love and affection(my husband would say I was overbearing in that category, lol)...still do, but I never, ever let them get confused as to whose role was whose. And our(my husband and I) relationship with them is one of the closest I've ever seen. It has made them independent, self-confident adults, who make wise choices concerning their lives. I've said all that to say, that our parents and grandparents raised a house full of kids. They didn't have all the books and psychology we have today, but we turned out okay, didn't we? They had to rely on their parenting instincts and not on what some book told them to do. They had to come up with a game plan that not only protected their children, but also preserved their sanctity, their energy and their time. I'm not saying we can't have fun with our kids and make memorable moments. My motto has been and will always be...if it ain't broke, you can tweak it, but don't fix it! God gave us the job of parenting and we're to do our very best. We're not going to get brownie points for how many times we let them have what they wanted or what we gave them materially, but we'll be judged on how well we steward their lives. 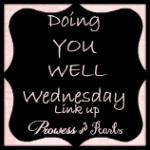 SN...the "Doing YOU WELL Wednesday" link up will only be hosted the last Wednesday of each month, starting this month. Please join me next Wednesday! Yes Hope, it sure will! I see it all the time too, parents wondering what could have gone wrong with their kids...ummm ma'am it probably started way back then when you thought their behavior was cute and didn't correct it. They don't remain "little" forever. One day they do grow up and become bigger...unfortunately by then it's too late! I so agree - it's amazing the way kids act today! boundaries are everything! They are aren't they Bekah! Anything that is not governed or properly taken care of will have to fend for itself. We all know what happens to kids who have to do that. Thanks for stopping by! Michell, this is such a great post!-I really enjoyed this! Except for the first year when I had my nose in every chapter of Christopher's development, I have relied on my instincts. The foreword of that book does sound interesting and different but I just cannot read a book on parenting. I think about how I was raised and how I want to be the same in some areas and different in others. And I think I turned out alright and hope the same for Christopher ;-) I think consistency is a big key in parenting. Hey Kenya! I know what you mean girl, I haven't read a parenting book as of yet, but this one sounds interesting, lol! Like you, I like to think my parents did a great job raising me and my sisters(I think I turned out pretty okay too), lol! Yes, there are some things I did differently, but I didn't steer too far away from the values they taught. Yep, consistency is KEY! Thanks for chiming in Kenya...have a good one! 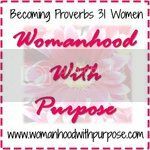 Thank you for such a well-written post based on the WORD! Michell it has been FAR too long since I visited your blog. This is such a great post, and I am really looking forward to reading the book as well. I agree with you on boundaries, and I would say that consistency is a huge part of it as well. I really struggle with this because my husband pretty much does the opposite of everything I am trying to do. I have found that my daughter will start to pitch a fit about something, but if I hold strong, she'll back down. My husband on the other hand, gives right into her. It's very frustrating! Parenting is tough, and I just hope that I am doing "good enough" in shepherding them! Hi Michell! I know that after a tense discussion with my teenager, he finally came out with "I want you to be my friend, not my parent!" Half of me wanted to be his friend too. It's a lot easier!! But I had to tell him that wasn't going to happen for a long time. Now he's almost thirty, and we are getting closer to that. Parenting is very hard, and I love the perspective of what children do that shapes their parents and marriage. That would be an interesting read. Thank you for letting us all know about the book! HA! I love that tweak it but don't fix it! You know we are like minded in this even though I am not a parent. I am one of few of my friends that aren't so I'm watching all the different parenting styles and some are on the money and some are a "modern" mess in my opinion. You have surely stepped on some toes with this but I agree with you. The book sounds interesting. Thanks for sharing! amen, we are here to parent our children: to guide them and discipline them. we are not here to be there friend or playmate! just like there aren't any bad dogs, just bad dog owners; similarly, there aren't bad children, only bad parents! i feel like parents have become way too lax and give in to their children way too much. it's all about setting limits and showing kids who is boss: US! "Prowess and Pearls by Michell Pulliam" has been included in the A Sunday Drive for this week. Be assured that I hope this help to point even more new visitors in your direction. Welcome to my blog...I'm Michell! A disciple of Christ, pastor's wife, mother of three, mother-in-law to one, mentor, teacher, encourager, lover of life, Carolina girl, southern belle at heart and lover of great food and fellowship with family and friends! Here you'll find practical teaching for everyday life! My passion is encouraging people, so if you've got a question on marriage, family, women's issues or life in general...shoot me an email @ prowessandpearls@gmail.com. I'd be glad to take your question. But before you do that, you may want to visit my "Michell's Weekly Pearl" tab above, as I may have already answered your question. 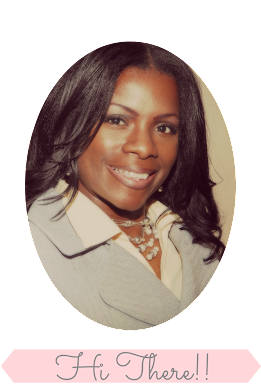 To find out more about "Prowess and Pearls" AND me...make sure to visit my "About Me" tab at the top of the page, AKA the "New to the Blog? Start Here" tab. :-) Thanks so much for stopping by...hope you'll stay a while! What's right is right...what's wrong is wrong! Mastering YOU Monday...college, life and change oh my! My Allergies Are Bothering Me, Now What? Copyright© 2012-2014 Prowess and Pearls™ The content of this Website (including without limitation all text, graphics, logos, button icons, images, reviews and opinions) is the exclusive property of Prowess and Pearls™ and cannot be reproduced without permission.